Recovery is an important procedure faced by any mobile device owner. The need for the behavior of the actions presented may be associated with both the loss of a part of the data and the incorrect operation of a device affected by viruses. Quite often, solving software problems of a device running an Android system helps a full reset to factory settings. However, such manipulations lead to the need to reinstall all applications, and personal data will be lost. Solve the presented problems will be able to create a recovery file and then send it to a PC or SD card. Using such a backup, you can continue to make a backup android. After completing the steps presented, you will not only be able to recover data at the right time, but also access it from other devices. This is not only useful, but also convenient, especially when there is no desire to involve specialists in the backup procedure. using the up and down buttons for the sound, select the backup and restore item, then Backup in it, after which you need to wait until the end of the procedure. 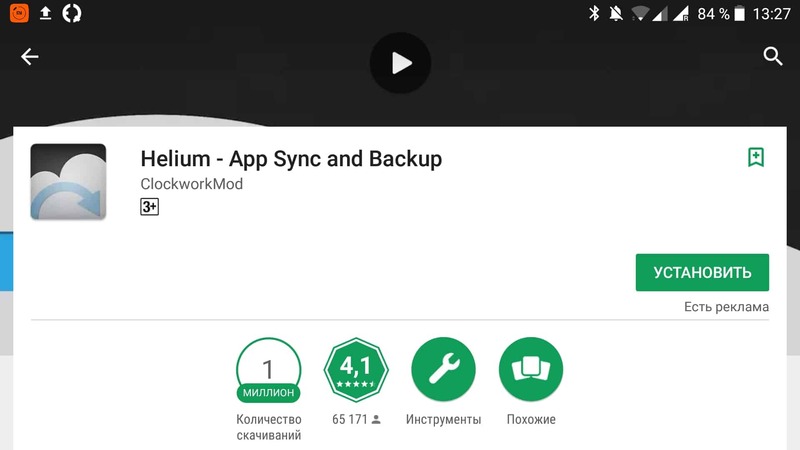 Titanium Backup is one of the popular utilities that allow you to change the settings of the file system of the phone and create a backup, including those running the Android platform. 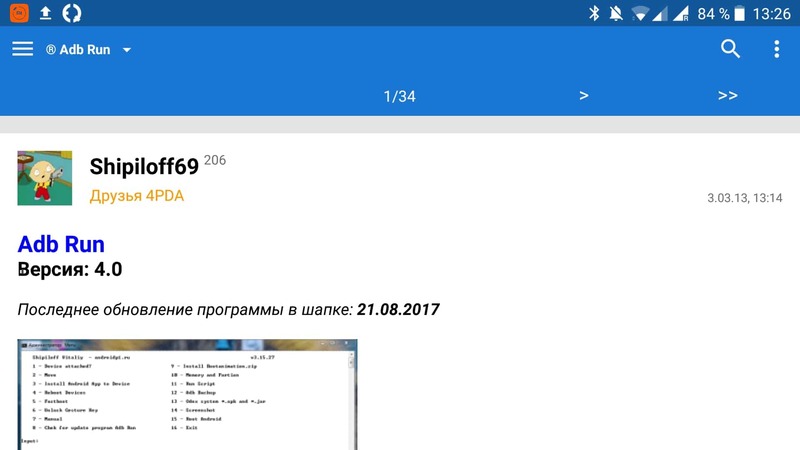 The application is available for download in the Play Store, as well as many other similar programs. The functionality of the utility requires a rooted phone, without root rights, operations with the OS are impossible. To extend the functionality available a paid version, with which the backup can be uploaded to the popular cloud storage. The backup process includes the following steps: launching the application, accessing the settings, creating a file for recovery. In the case when there is no possibility to create a backup copy on a memory card, the file can be saved to a computer. For this you need a free utility. ADB RUN. For its correct work when performing The backup must comply with the following conditions: USB debugging is activated, the mobile device drivers are installed and working correctly. in case you need to save data not only from the phone, but also the card, you need to activate the item 3 - "ADB Backup - data, app, SDcard». 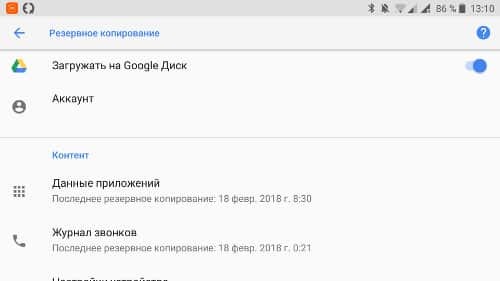 After the procedure for creating a restore point is completed, the backup of the android with data can be found in the backup folder in the adb directory. If necessary, the file can be copied to any convenient place (archive, send to Google Drive, etc.). The backup file obtained in this way can be used to restore the correct operation of the device. If this is done using Adb Run, you should select the “Adb Restore” option before restoring the backup. The effective means by which backup is performed android is Helium. In terms of functionality, the utility, which does not work only on Motorola phones, is similar to ADB, however, it provides for the possibility of choosing a separate application for which a recovery point will be created. save file to restore to internal or external memory. 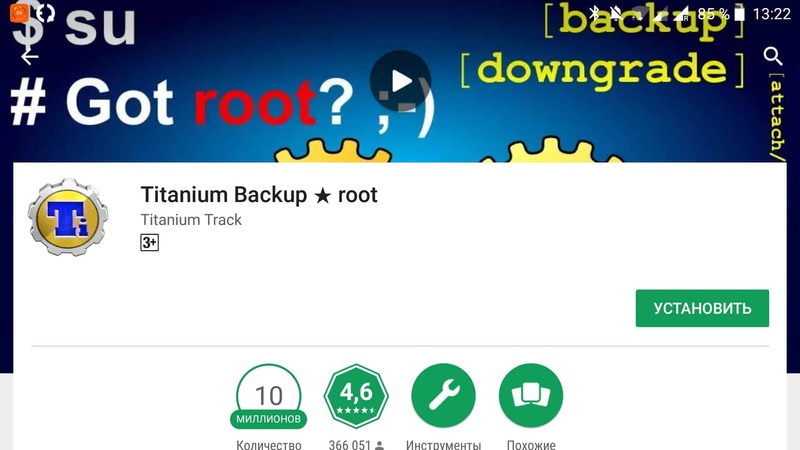 For backup android Helium without root rights provides for installation of the application on a PC with subsequent activation of USB debugging mode. In each case, backup is easy and intuitive for any user. Android Backup is the first step towards data loss prevention. To do this, the developers can use both the internal functionality and the installation of the application downloaded from the Play Store. Each of these programs is effective in some cases related to the need to store a file on a PC, SD card or other device, which provides for backup.